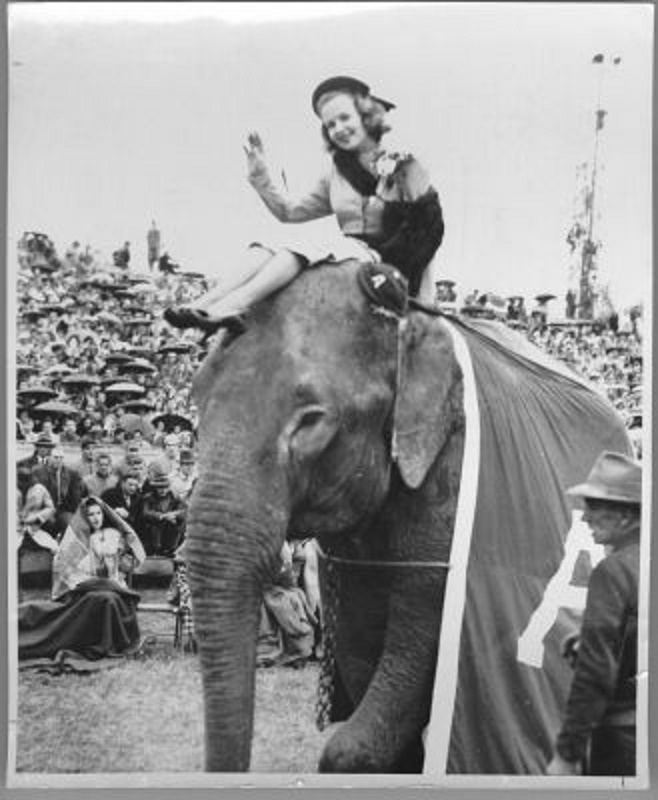 Big Al is the University of Alabama’s mascot and has been associated with the U of A since the 1930’s. 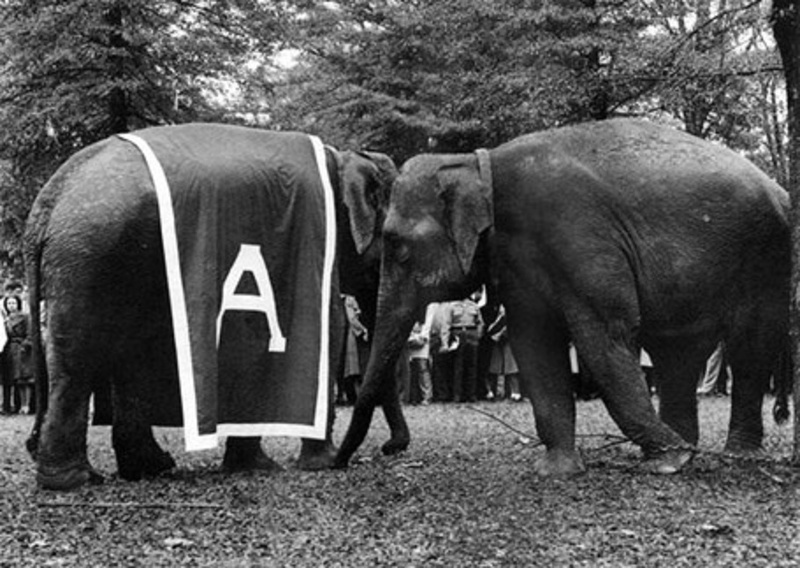 There are many versions as to how the elephant became associated with the University of Alabama. 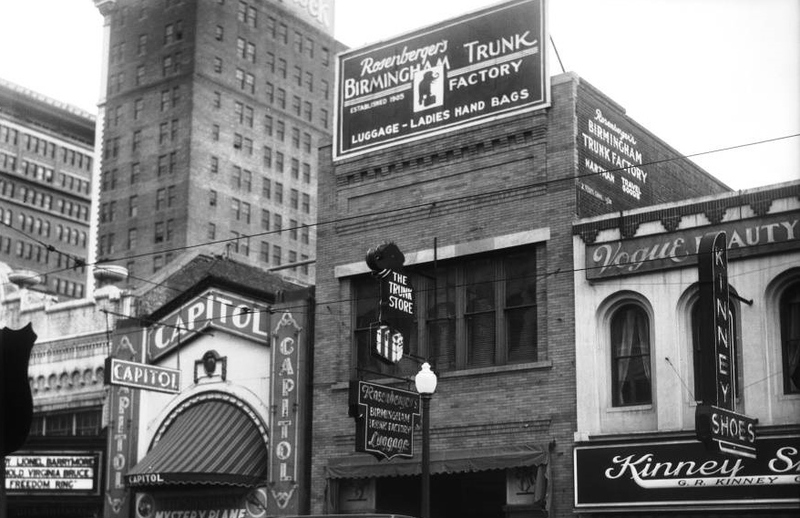 One of the two oldest, continuously-operating, businesses in Birmingham is ROSENBERGERS’S BIRMINGHAM TRUNK,INC. Opened in 1897 by J. D. Rosenberger, in an era when travel was by horse and wagon, train and ship, the need for durable and fashionable trunks, suitcases and “grips” afforded a needed business opportunity. The downtown Rotary Club was founded in 1913, made up of respected business and professional men. J.D. 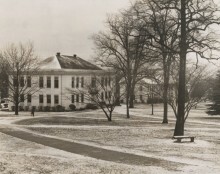 Rosenberger was a founding member; and he was a member of the Board of Directors in 1914, 1921 and 1922. 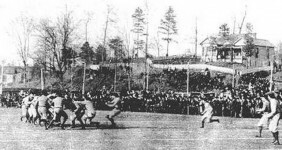 In 1927, The University of Alabama football team had an outstanding record, and was invited to play in the Rose Bowl against Stanford. 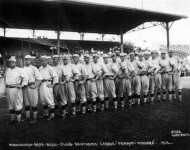 The train trip across the country took many days for the team to travel. As a proud fan, J.D. 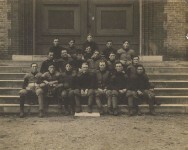 Rosenberger, had given each member of the team a new suitcase. 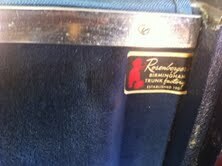 A name tag was attached to each suitcase, also provided by Mr. Rosenberger; and each tag had the Rosenberger Birmingham Trunk Company logo, which was a red elephant, exploiting the name “trunk”. 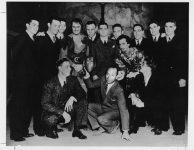 As the team traveled across the country, and when they arrived at Pasadena, they were met by newspaper and magazine reporters, as would be expected. The tags with the red elephants were noted on all of the team members’ suitcases, and the reporters mistook the meaning, thinking that they represented the team logo. So the elephant team mascot was born! 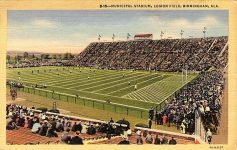 The tradition started in 1930 according to the University of Alabama Athletics website form a story Everett Strupper of the Atlanta Journal wrote about the Alabama-Mississippi game he had witnessed in Tuscaloosa four days earlier. 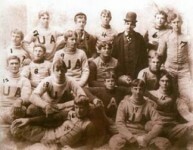 Strupper and other writers continued to refer to the Alabama lineman as “Red Elephants,” the color referred to the crimson jerseys. What do you believe? Do you know of any other versions? I’m not a bama fan … But I like the first one better! Being a Bama fan for 55 years, I have always gone with the University of Alabama’s explanation.1930..Wallace Wade was the Head coach.The elephant name was first given to them by the sports writer from Atlanta. This is also documented in the Bear Bryant Museum & the University Archives. Roll Tide! I’ve always assumed the 2nd of the two stories. The first always seemed to me like it was a little rude. I’m sure that even if the reporter did make a mistake in thinking that the elephants were a mascot that the southern gentleman of Alabama would not have made it clear that the luggage was a gift. It just seems… A bit off. It would be somewhat unprofessional to talk about someone’s mistake as being what created the mascot. I just think Alabama has more tradition than that. Always thought the first one was the correct write up. RTR!!! I like to think that the second story is true… True strength and dominance, even back then!!! RTR!!! Lame elephant still crushes baddest tiger. How cruel!! Are those chains I see!!! Yes. Elephants do not belong in captivity, but if they are where they can reach people, they are restrained somehow for human safety. That’s another l reason why they don’t belong in captivity. the second story is the true version. I heard they have an elephant mascot because they are from “Tusk”aloosa! The second story sounds a little more believable to me. I agree with Jeremiah, I think tradition runs deep and that makes more sense. Not a fan of seeing chains on the elephants in the pictures.